Perhaps the independent thinking required by his early education in the Ottawa Valley led D. Allan Bromley to become one of the most influential figures in science and technology in the latter half of the 20th century. The nuclear physicist was science adviser to former president George Bush from 1989 to 1998, and is credited with increasing both the staff and budget of the White House Office of Science and Technology Policy five-fold during that time. He died last Thursday in New Haven, Connecticut, at 78. Earlier in the day, he had taught a class at Yale University, where he had been a respected teacher and innovator since 1960. Before joining the Yale faculty as associate professor of nuclear physics, he worked for five years as a senior research officer and head of a nuclear physics section at Atomic Energy of Canada Limited (AECL) at the Chalk River Nuclear Laboratories (CRNL). There, he was the only "local boy" among an army of scientists from around the world. At Yale, he founded the A.W. Wright Nuclear Structure Laboratory in 1963 and was its director until 1989. He carried out pioneering studies on both the structure and dynamics of atomic nuclei and was considered the father of modern heavy ion science. Between 1965 and 1989, his laboratory graduated more PhDs in experimental nuclear physics than any other institution worldwide. Richard C. Levin, president of Yale University, called him "a great scientist and a great leader." "Where he led, we willingly followed," he said. Mr. Bromley published more than 500 papers in science and technology and wrote or edited 20 books. His numerous honours and awards included the National Medal of Science, the highest U.S. scientific award. He also held 32 honorary doctorates from universities worldwide. In the 1980s, he served a term as president of the world's largest scientific body, the American Association for the Advancement of Science. In this capacity, and as president of the International Union of Pure and Applied Physics, he was one of the leading spokesmen for U.S. science and international scientific cooperation. Always a visionary, he foresaw in the early 1990s the Internet as a widely available means of communication similar to the telephone network. He was responsible for the first formal published statement of U.S. technology policy and played a central role in expanding co-operation between the federal government and the private sector toward effective use of technology in U.S. society. As president of the American Physical Society (APS) in 1997, he co-ordinated the activities of 110 American scientific and technological professional societies representing more than 3.5 million scientists, mathematicians and engineers in support of continuing federal investment in academic science and technology. Mr. Bromley received his elementary education in a one-room school near his Westmeath-area farm home. For high school he moved to a four-room Grade 1 to 12 school in the village of Westmeath, where he was the only student in Grades 11 and 12. There were no teachers qualified to teach the chemistry and physics curriculums, so Mr. Bromley was given the teaching manuals and the key to the equipment cabinets and told to carry out the prescribed experiments on his own. He worked at logging for a year to save money to attend Grade 13 in Pembroke, where he qualified for a scholarship to Queen's University by achieving the highest mark in Canada. Mr. Bromley had been critical of the current Bush administration for its cuts to spending for science and technology, calling the spending self-defeating and jeopardizing the nation's ability to achieve. He is survived by his wife, Victoria Sutton, a professor of environmental law; a son, daughter, three grandchildren and two step-children in the United States, a brother and sister and many extended family members in the Ottawa Valley. He was 78. A memorial service will be held at Yale University on Saturday, Feb. 19. Marie Zettler lives at Westmeath and is a personal friend of the Bromley family. L-R: Jack Danforth, John Gayle, Dennis Robinson, Allan Bromley, unidentified member of HVEC senior staff. At the dedication of the world's first tandem accelerator at the Chalk River Laboratories of Atomic Energy of Canada Ltd. In the control room for the EN-1 tandem accelerator. A Westmeath family, as well as the scientific community in the Upper Ottawa Valley and worldwide, is mourning the death of Dr. D. Allan Bromley. Dr. Bromley died of an apparent heart attack last Thursday, February 10. He was 78. Dr. Bromley received his early education in a one-room school near his home on the Bromley Line in Westmeath Township and went on to high school in Westmeath and Pembroke. He received the B.Sc. degree with highest honours in 1948 in Queen's University, and then went on to earn and M.Sc. degree at Queen's and a Ph.D. degree from the University of Rochester, the latter two degrees in nuclear physics. From 1955 until 1960 he served as a Senior Research Officer and head of one of the nuclear physics sections working with accelerators for Atomic Energy of Canada Ltd. (AECL) at the Chalk River Nuclear Laboratories (CRNL). Dr. Douglas Milton of Deep River was a nuclear physics researcher at CRNL at the time Dr. Bromley worked there. "Al was always a strong supporter of physics in Canada," said Dr. Milton. "He used to come back regularly to talk to us. He was very complimentary about physics done here in Canada. The prevailing Canadian point of view seems to be that if it's done in Canada, it's no good, but if it's done in the U.S., it's OK."
He joined the Yale faculty as associate professor of physics in 1960. One of the world's leading nuclear physicists, Dr. Bromley was founder and director of the A.W. Wright Nuclear Structure Laboratory at Yale from 1963 to 1989. He carried out pioneering studies on both the structure and dynamics of atomic nuclei and was considered the father of modern heavy ion science, a major field of nuclear science. He continued his association with Yale University over the decades. Over the 1965-1989 period, his laboratory at Yale graduated more PhDs in experimental nuclear physics than any other institution worldwide. He published over 500 papers in science and technology and authored or edited 20 books. The numerous honours and awards he received included the National Medal of Science, the highest US scientific award. He was awarded 32 honorary doctorates from universities in Canada, China, France, Germany, Italy, South Africa, and the United States. In the 1980s he served a term as president of the world's largest scientific body, the American Association for the Advancement of Science. He was science advisor to President George H. W. Bush from 1989 to 1993, and is credited with increasing both the staff and budget of the White House Office of Science and Technology Policy five-fold during that time. He has been critical of recent White House administrations for cutbacks in science funding. Always a visionary, in the early 90s he foresaw he day when the Internet would be widely available and looked upon as a telephone network. For more than two decades, Bromley was a leader in the national and international science and science policy communities. As chair of the National Academy of Science's Physics Survey in the early 1970s, he was central to charting the future of that science in the subsequent decade. As president of the American Association for the Advancement of Science, the worlds largest scientific society, and of the International Union of Pure and Applied Physics, the global coordinating body for that science, he was one of the leading spokesmen for U.S. science and international scientific cooperation. The first person to hold the Cabinetlevel rank of Assistant to the President for Science and Technology, Bromley oversaw a five-fold increase in both the staff and budget of the White House Office of Science and Technology Policy between 1989 and 1993. He chaired and revitalized the Federal Coordinating Council for Science, Engineering and Technology, and he achieved an unprecedented level of cooperation and communication among the more than twenty federal agencies that support U.S. science and technology. He was responsible for the first formal published statement of U.S. Technology Policy and played a central role in expanding cooperation between the federal government and the private sector toward effective use of technology in U.S. society. Dr. Bromley also chaired the President's Council of Advisors on Science and Technology and the Intergovernmental Council on Science, Engineering and Technology. During the Bush administration, he testified often before Congressional committees and delivered more than 400 addresses to major audiences across the country and the world as the senior representative of American science and technology. Prior to his appointment to the Bush Administration, he served as a member of the White House Science Council during the Reagan Administration and as a member of the National Science Board in 1988-1989. He was a member of the U.S. National Academy of Sciences, the American Academy of Arts and Sciences, the Brazilian Academy of Sciences and the Royal South African Academy of Sciences. He was also Academician of the International Higher Education Academy of Sciences in Moscow and a Benjamin Franklin Fellow of the Royal Society of Arts in London. He was a member of the Governing Board of the American Institute of Physics from 1995 to 1998. In 1997, Dr. Bromley served as president of the American Physical Society (APS). In that role, he coordinated the activities of 110 American scientific and technological professional societies representing more than 3.5 million scientists, mathematicians and engineers in support of continuing federal investment in academic science and technology. His leadership in building this coalition was unprecedented in scope and political influence, according to a release from Yale University. He also hosted and organized a meeting of the presidents of the major physical societies and regional societies worldwide for discussion of common problems and opportunities. 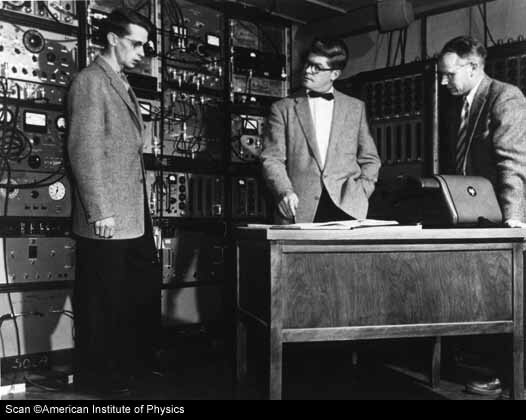 Dr. Bromley also organized the APS Division of Nuclear Physics and was its first nuclear physics councillor. In his memoirs, he recalled travelling the four miles from his home to the four-room Grade 1 to 12 school in Westmeath either on horseback or with a horse and buggy or cutter. "This small village school was remarkably well equipped for both chemistry and physics instruction as far as equipment was concerned," he wrote. "Unfortunately, none of the teachers had any idea whatever about either subject. Since I was the only student in the class at the time, she (the principal) solved the teaching problem by simply handing me the physics and chemistry textbooks and laboratory manuals as well as the key to the equipment cabinets and suggested that I should get on with it and do the experiments outlined in the laboratory manuals. This was great fun and I learned a tremendous amount about both physics and chemistry, even if it was somewhat of an unorthodox approach." For a complete high school education, Grade 13 was required. This was not available in Westmeath and it was 20 miles to the Pembroke Collegiate and Vocational Institute. There were no school buses at that time. Because the family did not have the finances to pay for room and board in Pembroke while he finished his final year, he went to work logging for a year to save money to finish high school. When he eventually finished Grade 13, he was chosen to be valedictorian. He also won the Douglas Scholarship offered by Queen's University for General Proficiency. His mark was the highest score on that year's examinations, and, as it turned out, the highest ever recorded in Canada up to the date of the writing of Dr. Bromley's memoirs in 2003. Dr. Bromley's death occurred shortly after he finished teaching a class at Yale. "Allan Bromley was a great scientist and a great leader," said Richard C. Levin, president of Yale University. "In three successive careers, he built our physics department, served the nation with distinction, and thoroughly revised engineering at Yale. With intelligence, energy, and enthusiasm he inspired thousands of students and colleagues. Where he led, we willingly followed. Dr. Bromley was the son of the late Milton and Susan (nee Anderson) Bromley. He is survived by his wife, Dr. Victoria Sutton; his son, David Bromley (wife Lynne), of San Diego, California, and his daughter, Lynn Bromley (husband Dr. Peter Cohen), of Cleveland, Ohio, and by three grandchildren, Jennifer Elizabeth Bromley and Sarah Jane Bromley and Skylar Bromley Cohen; and by two step-children, Summer Stephanie Sutton and Remington John Sutton. He is also survived by his brother, John (Myrtle), his sister, Dawn Anderson (John, deceased), and sister-in-law Nellie Bromley (Robert, deceased), all of Westmeath, and sister-in-law Ina Bromley (Ronald, deceased) of Cobden. He is also survived by many cousins, nieces, and nephews in the Westmeath area. He was predeceased by his first wife, Patricia Jane Bromley. L-R: Kuehner, John; Bromley; Almvist, Einar (Joe). 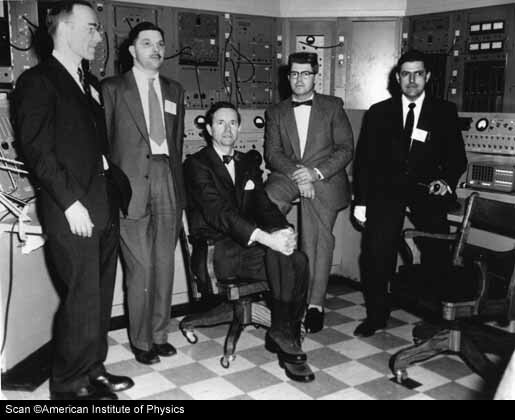 "My research group in the Control Room for the Chalk River 4 MV Van de Graaff accelerator. All of the instrumentation was vacuum-tube based and behind us on the right was a 50-channel multi-channel analyzer, each channel of which had to be separately adjusted at least once a day because the circuitry drifted continually. Our only local laboratory computer at the time was the Marchant desk unit shown here. We were fortunate in having the worlds only liter of 3He gas and because we had constructed a suitable recovery system we were able to recycle that liter of gas through the accelerator literally hundreds of times, losing only the 3He nuclei that were eventually driven into target materials. The possession of this 3He gave us a definite advantage over other nuclear physicists worldwide in terms of our ability to study higher-lying states in light nuclei." OTTAWA — It was a case of what the scientist saw. Or how, in just a few short hours, a Canadian physicist became an American citizen. It happened one day in 1970 when Allan Bromley, then a nuclear expert from Yale University and later science adviser to the first President George Bush, spied something that put his colleagues all in a panic. "I had been shown the deepest, darkest secret known in the United States out at the Weapons Flats in Nevada," the farmer's son from the Ottawa Valley told the Toronto Star in 1992. "And just about the time it was all finished, someone said, 'Oh, my God, Bromley is not a citizen.' "
A judge was hurriedly sent out from nearby Las Vegas and Dr. Bromley was sworn in on the spot so that "it became legal for me to know that deep, dark secret." To this day, no one, including his brother John, knows much about what Dr. Bromley laid his eyes on that day. "It is true that he was being shown something and that someone realized there had been a security breach," says John Bromley. "He never did give me all of the details." The renowned nuclear physicist's rise to the pinnacle of American science began under circumstances considerably less odd than the event that saw him suddenly become an American. "He always liked science as a youngster, he was always experimenting with things," recalls John Bromley. "We had a lot of scientific equipment at our high school and one day at noon he got a concoction going and we heard the bang all the way down the street . . . it took the paint off the old tin ceiling in the room. "Whenever he did something, he wanted to know why it did what it did. He was very inquisitive," says John, who with Allan, two other brothers and a sister, grew up on a family farm about 12 kilometres east of Pembroke, Ont. Today, John Bromley runs a farm and sawmill not far away near Westmeath, Ont. As Mr. Bush's top science adviser from 1989 to 1993, Dr. Bromley pushed for sizable increases in money for scientific research in a race to keep U.S. manufacturing ahead of Japan and Germany. He supported the expansion of the high-speed network that became the Internet, and, after years of questioning the science behind global warming, he was credited with persuading Mr. Bush to attend a summit on the issue. Serving as the president's science and technology adviser and as chairman of the Office of Science and Technology Policy, Dr. Bromley was seen as one of the most influential science advisers ever. "He gave the president his best advice rather directly. That made him a superb adviser on hard issues," John Sununu, Mr. Bush's former chief of staff, told the New York Times. Dr. Bromley was an early champion of what he called the "data superhighway," now known as the Internet. "Ten years from now," he said in 1991, "I'd like it to be widely available and looked upon like the telephone network." Mr. Sununu said that Dr. Bromley "understood its value" both for global communication and exchanging information. After attending high school in Westmeath and Pembroke, he earned bachelor's and master's degrees at Queen's University and a doctorate from the University of Rochester in 1952. After graduating from Queen's, he worked for five years as a senior research officer and head of a nuclear-physics section at Atomic Energy of Canada Ltd., at the Chalk River Nuclear Laboratories at Chalk River, Ont. Canada is where he and some of his AECL colleagues of the day would have preferred to stay. The prize, as far as they were concerned, was an assortment of vacancies that had cropped up at the University of Toronto's physics department. Indeed, things looked truly promising until they learned that the "chairman of the physics department at Toronto had stopped off at Glasgow on his way back from a summer vacation and had hired people there to fill all the positions," Dr. Bromley said in a 1992 interview. "And so we all decided we were going to jump ship." He joined the Yale faculty as associate professor of physics in 1960 and was founder and director of the A. W. Wright Nuclear Structure Laboratory at Yale from 1963 to 1989. He carried out pioneering studies on both the structure and dynamics of atomic nuclei and was considered the father of modern heavy ion science, a major field of nuclear science. From 1972 until 1993, he held the Henry Ford II professorship in physics at Yale, and from 1970 to 1977, he served as chair of the Yale Physics Department. 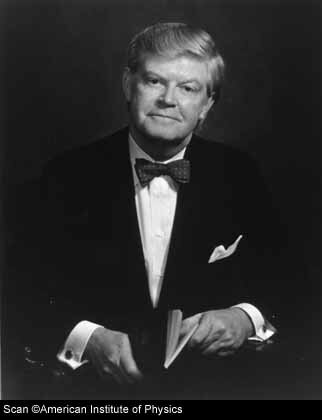 Dr. Bromley was dean of engineering at Yale from 1994 to 2000. "Allan Bromley was a great scientist and a great leader. In three successive careers, he built our physics department, served the nation with distinction, and thoroughly revitalized engineering at Yale. With intelligence, energy, and enthusiasm he inspired countless students and colleagues," said Richard Levin, president of Yale. "Where he led, we willingly followed." Dr. Bromley was hailed as an outstanding teacher; from 1965 to 1989, his lab at Yale graduated more doctoral students in experimental nuclear physics than any other institution in the world. Dr. Bromley published more than 500 papers in science and technology, and edited or authored 20 books. As president of the American Association for the Advancement of Science, the world's largest scientific society, and of the International Union of Pure and Applied Physics, the world co-ordinating body for that science, he was one of the leading spokesmen for international scientific co-operation. He received numerous honours and awards, including, in 1988, the U.S. National Medal of Science, the highest scientific honour awarded by the United States. He held 32 honorary doctorates from universities worldwide. After moving to the United States, Dr. Bromley continued to return to Westmeath, sometimes as often as twice a year, where he would stay at Nangor Resort and take the time to attend church and visit with family and friends. Occasionally, business brought him home. In 1994, he did a star turn as a guest speaker at the University of Ottawa's program of research in international management and economy. His speech revealed a certain degree of doubt about his southerly career moves. "It's a little sad," he told his audience. "I think that a great many of us at various times in our careers would have liked to have stayed in Canada and I think we could have made significant contributions." He lamented that Canada's science and technology had long been on a starvation diet. "It is rather strange that having one of the best educational systems in the world, Canada has not been prepared to invest in the activities that will create opportunities for large numbers of the people that emerge from its educational system." Even when they decided to stay, engineers and scientists often could not perform research and development if their employer was foreign-owned, he said. "Canada has been prepared to leave the companies who are headquartered outside of Canada with the freedom to do their research and development at their head office and not here. This has cost the country dearly." Allan Bromley was born on May 14, 1926, near Westmeath, Ont. He died of a heart attack on Feb. 10 in New Haven, Conn., after teaching a class at Yale University. He was 78. He is survived by his wife, Victoria Sutton; son, David; daughter, Lynn; stepchildren, Summer Stephanie Sutton and Remington John Sutton; brother John; and sister Dawn Anderson. He was pre-deceased by his first wife, Patricia.